SCBA Wall Round Triple Towel Robe Hook Hanger for Bath Towel Holder, Brass. 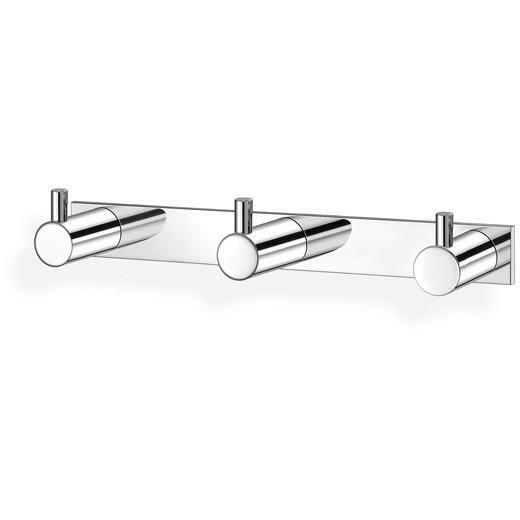 Created to bring everlasting beauty; this stylish Hook is designed to increase the level of elegance in your bathroom.- Manufactured in Europe.- Material: Brass.- Color: Polished Chrome.- Type: Wall Mounted.- Shape: Round- Dimension: 6.7 W x 1.6 D x 1.2 H in. 7 W x 2 L x 1 H in.